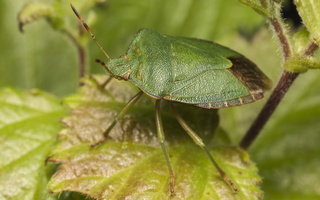 = Žalioji medblakė, medinė blakė EN: Green shieldbug A large shield bug with a dark wing membrane and reddish 4th and 5th antennae segments. 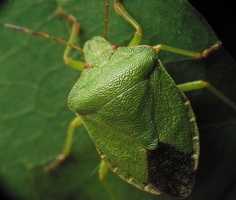 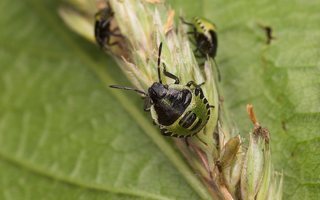 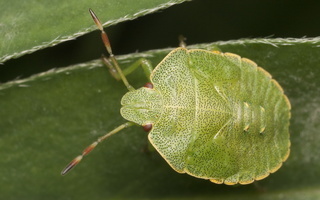 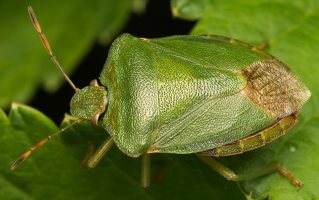 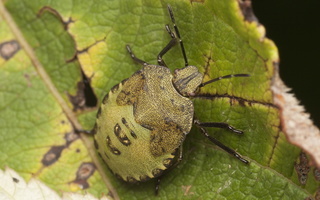 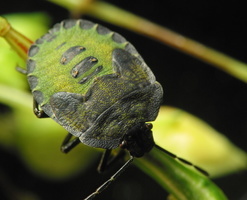 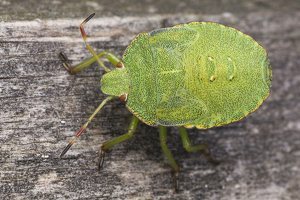 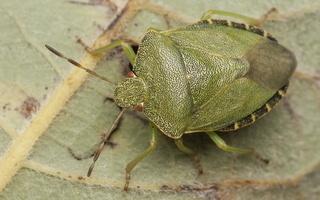 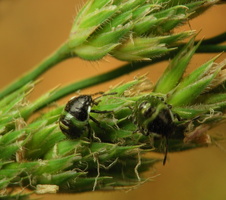 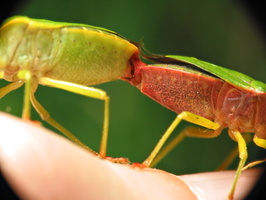 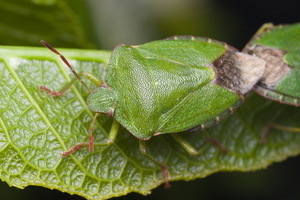 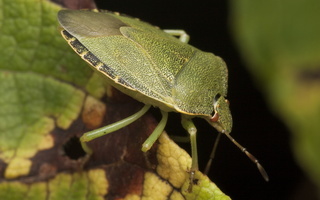 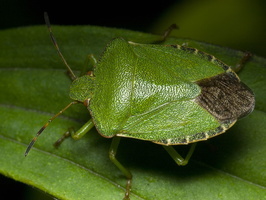 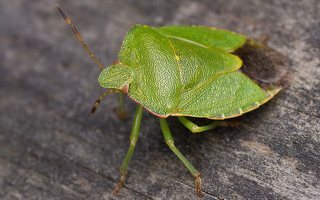 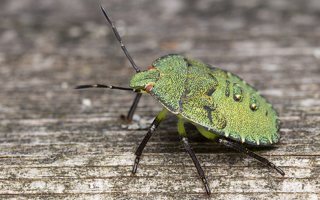 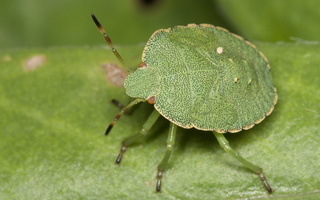 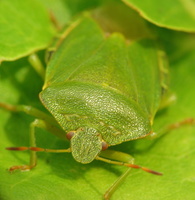 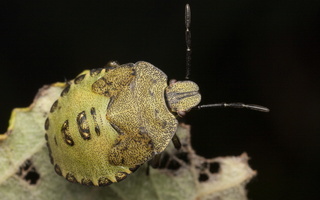 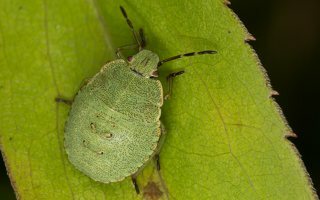 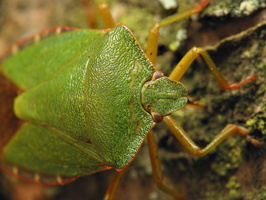 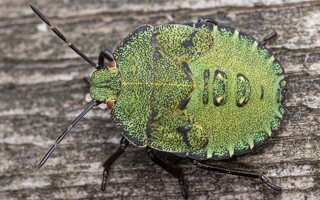 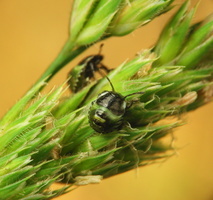 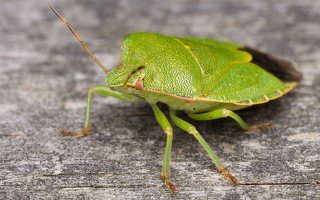 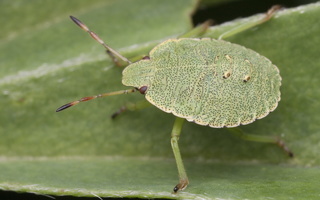 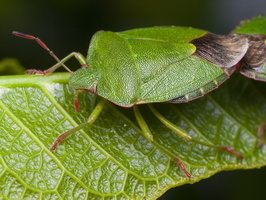 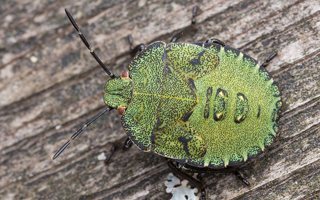 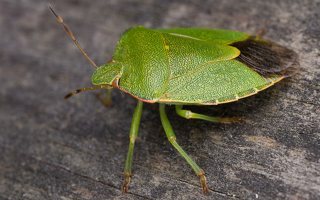 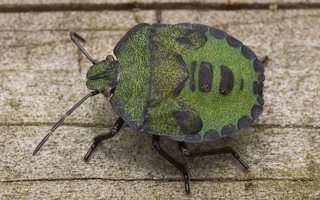 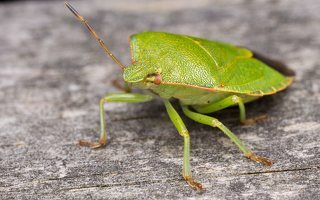 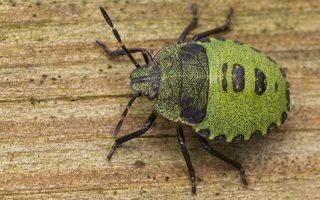 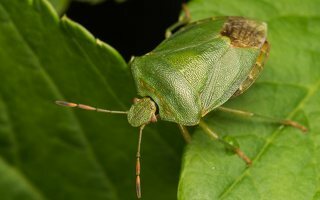 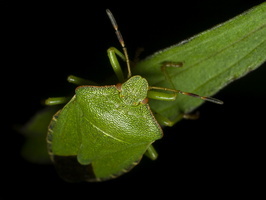 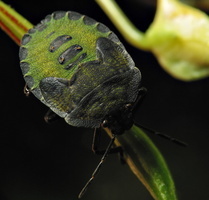 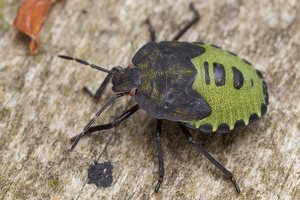 Adults are bright green in the spring and summer with finely punctured dark marks. 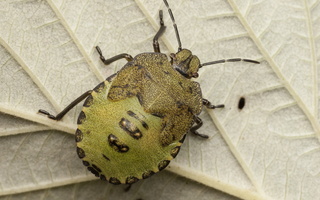 They become a darker bronze-brown prior to winter hibernation. 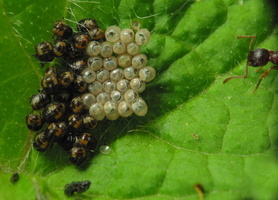 There is one generation per year. 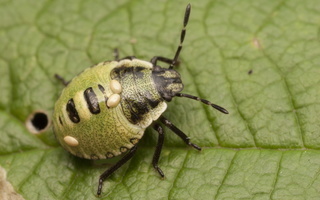 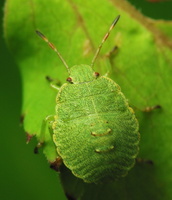 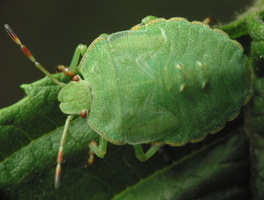 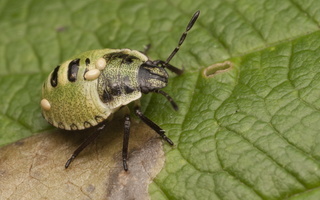 The nymphs feed on many deciduous trees and shrubs, particularly hazel, and can be found from June to September. 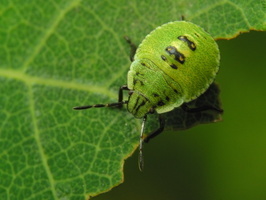 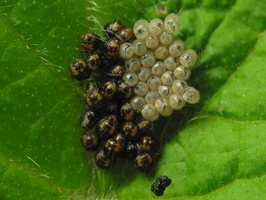 Later nymphs are often darker than those found earlier in the season. 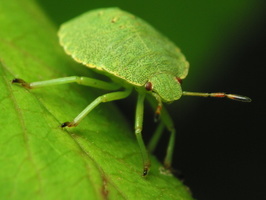 Adult length 12-13.5 mm.